Gail Latimore is a veteran of non-profit management and development work, with over 25 years of experience working in the public or non-profit sector. Since 1998, she has been the Executive Director of Codman Square Neighborhood Development Corp. (NDC) where she is responsible for the management, growth, and health of one of Boston’s largest community development corporations. During Ms. Latimore’s tenure, the NDC has grown significantly, expanding its service base to meet the needs of the community. Additionally, during this time, the NDC has developed almost 330 units of affordable housing, both home ownership and rental. Ms. Latimore has a bachelor’s degree in architecture from Columbia University and has completed coursework towards a master’s degree in urban affairs at Boston University. 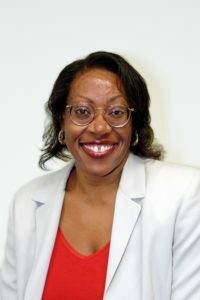 She is a founding board member of the Dudley Street Neighborhood Initiative, and continues to serve on several state, regional, and local boards dedicated to responsible community development, including the Massachusetts Association of Community Development Corporations and the Four Corners Action Coalition.